Pakistan demolished Australia in the first T20I. 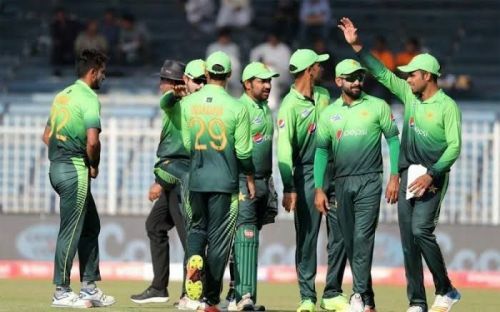 They carried their Test momentum successfully into the T20s and now aim to seal the T20I series when they welcome the Aussies to Dubai International Cricket Stadium for the second T20I of the three-match series on Friday, October 26. Both teams have now played 18 T20 internationals against each other with the Asians leading the head-to-head 11-7, while in case of Dubai Stadium, the scoreline is tied at 2-2. In their previous meeting at this venue, back in October 2014, the hosts put up a sub-par total of 96/9 in their quota of 20 overs, and the Aussies managed to overhaul that total with six overs to spare. Pakistan showed why they are the No.1 ranked side in T20I cricket. What was expected to be a tight contest before the beginning ended in a one-sided affair, which means they are on the verge of another series win against the Aussies. The opening pair of Babar Azam and Fakhar Zaman hold the key to Pakistan's batting. Both have been in good touch in recent times. Babar was pick of the lot last time out with a steady knock of 68, while Fakhar is currently second in the ICC T20I batting rankings and has a strike-rate of close to 143 in this format. Apart from these two, the hosts will also expect healthy contributions from their middle order, which failed miserably in previous outing. Except Mohammad Hafeez (39), none of the batsmen managed to reach the double figure mark, with skipper Sarfraz Ahmad and Faheem Ashraf getting out for ducks. Pakistan had a dream day in the bowling department, and all five players were among the wickets. Imad Wasim removed the openers to put the visitors on the back foot and finished his spell with a three-wicket haul. The left-arm spinner is likely to give the Aussie batsmen a hard time, while Shadab and Faheem Ashraf shared four scalps between them to lay down the Australian innings. Australia have been a little inconsistent in the shortest format in recent times. They have four wins and as many losses in their last eight matches. The Aussies have got off to a poor start in the ongoing series, losing the opening encounter by a big margin. Now, they need to go back to the drawing board and figure out where it went wrong and what needs to be done. As Finch mentioned after the match, one should expect a few changes in the playing XI. 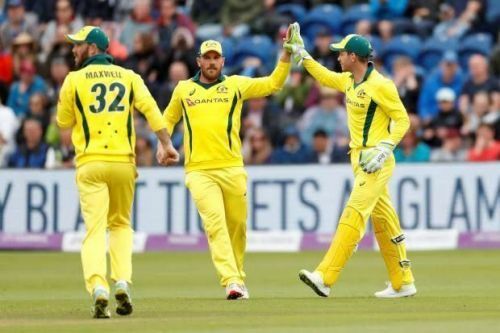 Australia will have to come up with a much better batting display in the second T20I, and for that, they will need sizeable contributions from their top order, which comprises of Aaron Finch, D'Arcy Short and Chris Lynn. The skipper failed to get off the mark last time and he will look to bounce back with a good performance here, while Lynn and Short are both match-winners. The Aussies will be hoping for these two to fire on all cylinders. Both Andrew Tye and Stanlake snared three wickets apiece in the last game while being economical, and the duo will be backed by their team to replicate that performance on Friday. They will also bank on the likes of Adam Zampa, who is their best option from the spin department, and it will be up to him to apply pressure on Pakistan in the middle overs.